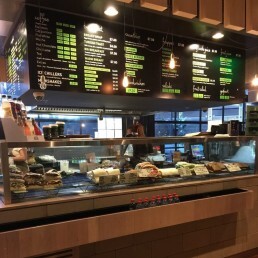 Not your average food court offering, Green Grocer is serving up fresh food for the health conscious – their brekky options are the perfect start to any day. Located in the Café Court at Brookfield Place, on the southern side of the tower lobby. 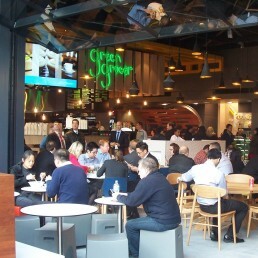 Start your day at Green Grocer or pop in for a quick bite in between meetings. Serving quality coffee, freshly squeezed juices and low fat yoghurt. For lunch, Green Grocer’s specialty is a wide range of beautiful gourmet salads, along with a great selection of fresh, ready-made rolls and wraps, and made to order juices and smoothies.